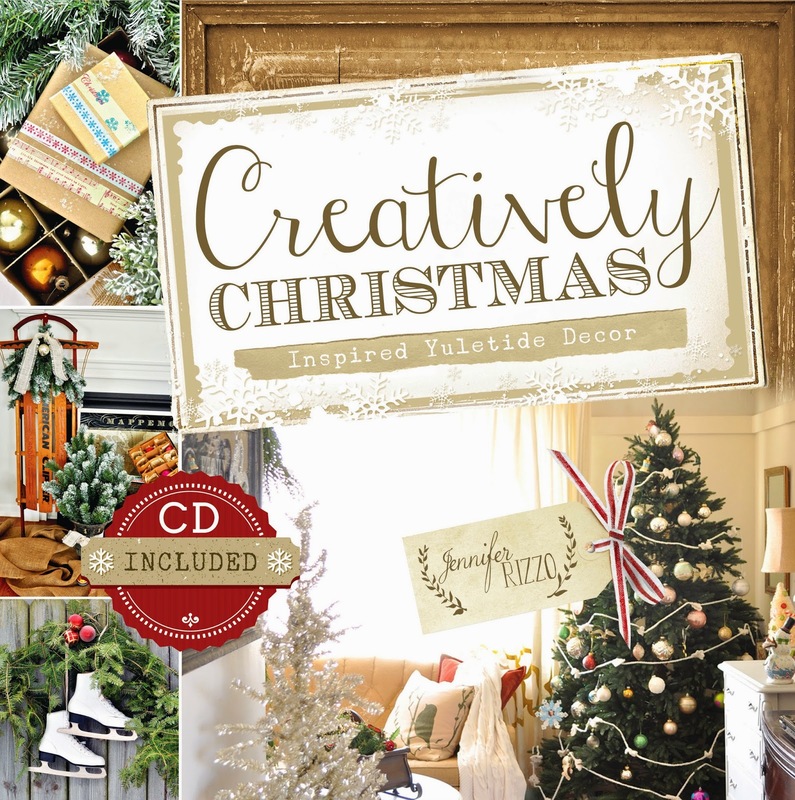 Creatively Christmas is in stores now! 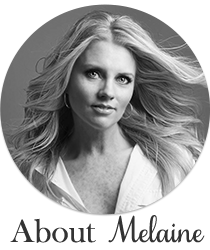 and here is a little blurb about it! Make your Christmas merry and bright! Follow popular designer and lifestyle blogger Jennifer Rizzo on a journey through the yuletide season and learn how to make your own beautiful decorations, such as the Sparkly Doily Banner, Snowball Jingle Bells, Reindeer Tea Towel, and more. So grab a hot glue gun and pom-poms and enjoy page after page of glittery and festive projects. 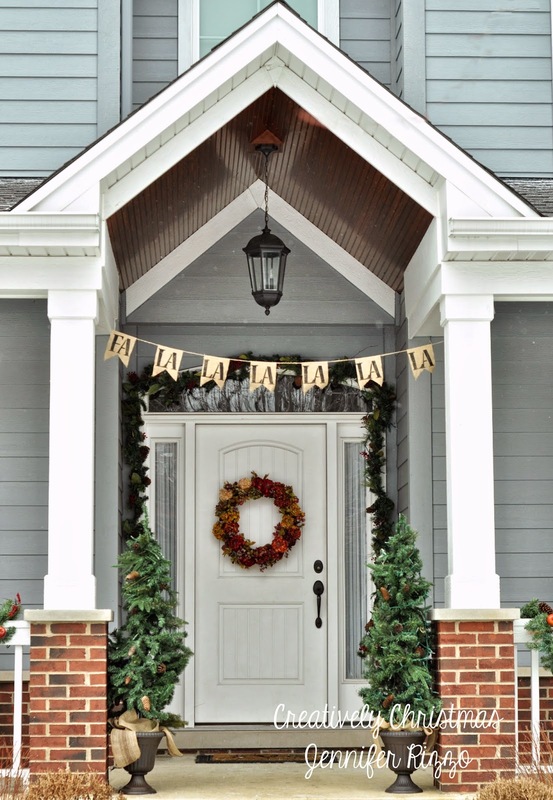 Learn how to make your own holiday home decor and beautiful decorations with over 35 hands-on projects, page after page of creative decorating ideas, and a tour of real life homes decorated for the holidays. 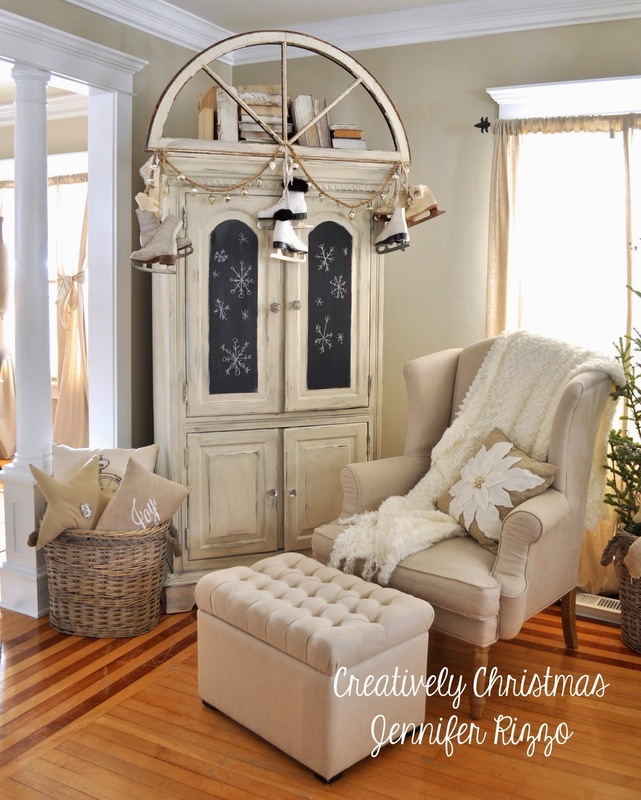 Perfect for inspiring you with ideas for re-creating the rustic Christmas of your childhood, Rizzo's DIY projects and decorating hints will leave you dreaming of a white and burlap Christmas. 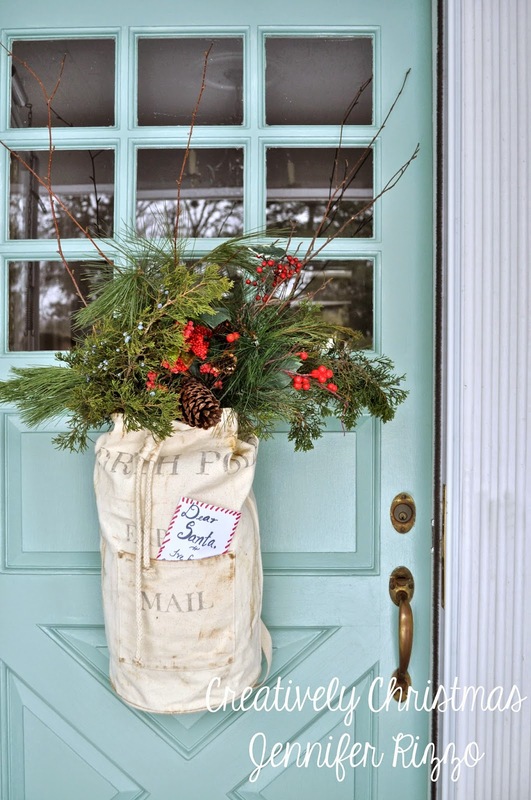 If a fast and easy holiday craft project doesn't inspire you, a tour of several beautifully-decorated homes just might. Go on a virtual holiday home tour and take in the view at a restored country cottage, a vintage farmhouse, and more. 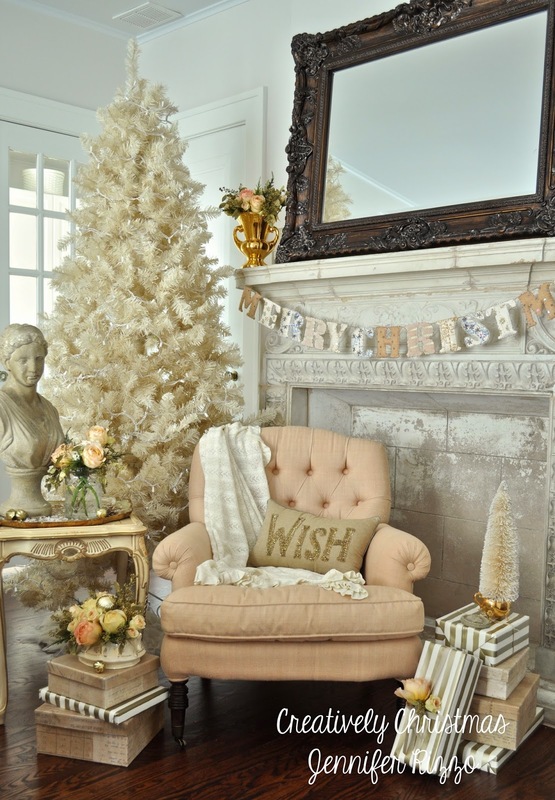 Get tips for making your own space merry and bright! 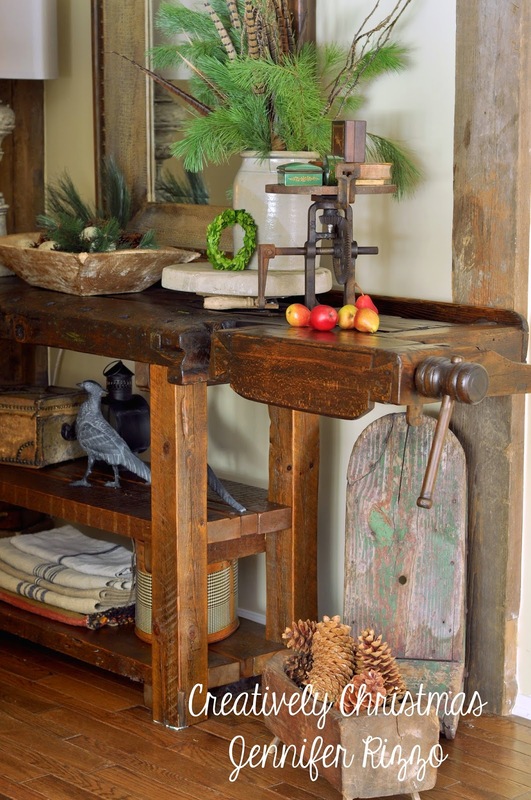 Find inspiration from other popular bloggers who use a combination of milk paint, greenery, vintage photos and steamer trunks to bring rustic charm into the room where your family will create warm and wonderful memories of their own special holiday season. You will love this book, trust me! It is not too early to be thinking about the holidays! Oh my! I love the Merry Christmas banner. Very pretty. I can see how this would be a very inspiring book!